You have added To The Max Crochet Lace Maxi Dress in Beige into shopping cart. This cute maxi dress with crochet lace trim at the bust is the perfect thing to toss on and instantly look put-together and polished while staying comfy at the same time. The To The Max Crochet Lace Maxi Dress is fully lined and made of a gauzy fabric. 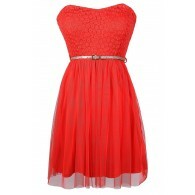 It has a strapless neckline and lightly padded bust. 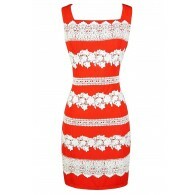 The bust is decorated with crochet lace and leatherette trim throughout, adding detail to this dress. Fabric ruching at the back and a hidden side zipper complete this look. 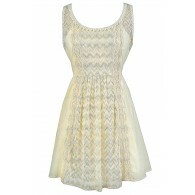 The To The Max Crochet Lace Maxi Dress would look great dressed down with flat sandals and an oversized bag. You could also dress it up with wedges or heels. 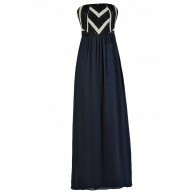 Toss a fitted cardigan or denim jacket over this dress on cool evenings when you need more coverage. This is a cute dress to pack on vacation or wear to any get-together or party. Details: Fully lined. Hidden side zipper. 65% rayon, 35% nylon. Hand wash cold with like colors. Do not bleach. Low iron. Small measurements: Length from top of bust to hemline: 51". Bust: 32". You have added To The Max Crochet Lace Maxi Dress in Beige into Wishlist. You have added To The Max Crochet Lace Maxi Dress in Beige for Stock Notification. You have set To The Max Crochet Lace Maxi Dress in Beige as a loved product. 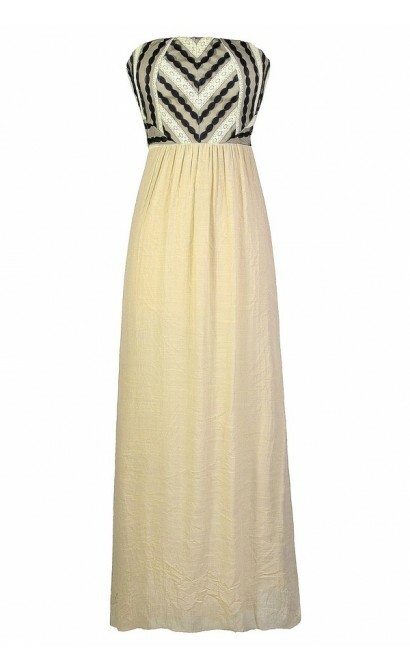 You have removed To The Max Crochet Lace Maxi Dress in Beige as a loved product.